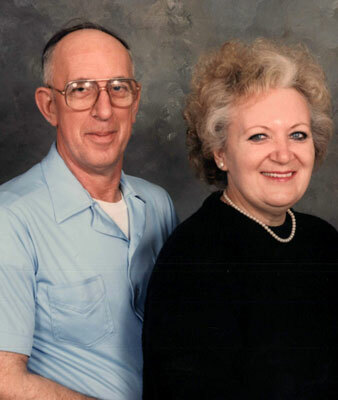 ALMAJEAN ''JEAN'' CHALFANT YOUNGSTOWN – Almajean “Jean” Chalfant, 73, passed away Saturday, Dec. 29, 2012. Born March 20, 1939, in Youngstown, she was the daughter of Herman and Kathryn (Hadlock) Schisler. Mrs. Chalfant attended Fitch High School, was a homemaker and a member of the First Free Will Baptist Church. Survivors include her husband, Gilbert E. Chalfant Sr., whom she married Dec. 21, 1955; children Gilbert E. Chalfant Jr. of Youngstown, Kathy Myers (Pete) Lukanec of Canfield, and Timothy D. Chalfant of Youngstown; four grandchildren; and three great-grandchildren. Friends will be received at the Lane Family Funeral Home, Austintown Chapel on Wednesday, Jan. 2, 2013, from 5 to 8 p.m., where services will be held on Thursday at 11 a.m. Burial will take place at Green Haven Memorial Gardens. Family and friends may visit www.lanefuneralhomes.com to view this obituary and send condolences. Please share your memories of Alma Jean.